PURE has announced the release of three of their digital and internet-connected radios, which they hope to woo the US. The three models released are EVOKE Flow, Oasis Flow, and Siesta Flow. These will be available for purchase within America from July 1, 2010. According to PURE, North America is a connected market and PURE radios will help consumers access, store, share and interact with digital entertainment such as music, internet radio and podcasts. PURE North America, a division of Imagination Technologies was launched in the US at this year’s CES (Consumer Electronics) show in Las Vegas. PURE is planning to launch five digital and internet-connected radios in the US. Models Senia, PURE’s flagship connected radio for the connected home and Sirocco 550, a complete digital sound system are due to be announced soon. Available for users of PURE radios is PURE Lounge, a radio and media portal. Through PURE Lounge users will be able to organize their favourite stations into shared folders, synchronize content choices on both the radio and the web portal. PURE Lounge also offers PURE’s own content PURE Soundtm, a catalogue of mood setting tones. Winner of more than 30 awards, including 'Radio Product of the Year,' PURE's groundbreaking EVOKE Flow was the first truly connected portable radio. 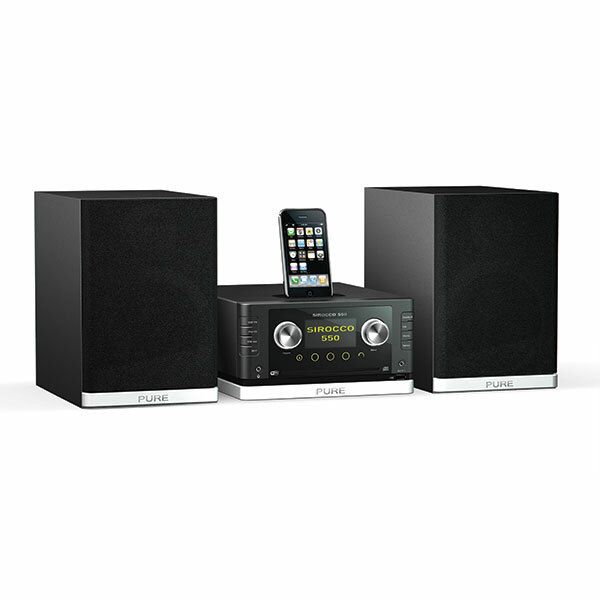 Light and portable with inputs for an iPod dock or additional speakers, the EVOKE Flow is at home in any room in the house, from the bedroom, to the kitchen and living room. A stylish weatherproof case, rubber seals and a cast aluminium framework combine to make Oasis Flow the most rugged, internet-connected radio on the market. The perfect radio for anyone who wants to stay connected while working or playing outdoors, Oasis Flow features a built-in rechargeable ChargePAK battery for hours of continuous listening. The connected-consumer's alarm clock, Siesta Flow brings the power of internet radio to the bedside. Small and sleek enough to fit any bedroom space but powerful enough to serve as that room's primary stereo, Siesta Flow also provides access to 365 different alarm tones -- one for every day of the year. There are also four independent alarms, a selection of ambient sounds to go to sleep to, plus the unique PowerPort™ which provides power for USB accessories such as mobile phone chargers, reading lights, bedside fans and cup warmers, solving the problem of having insufficient power points next to the bed.